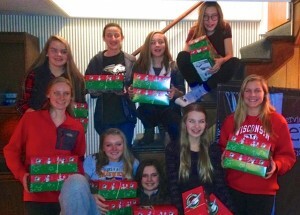 The Challenge Girls’ in Mundelein, IL have a special Christmas tradition that they have participated in for the past 5 years – Operation Christmas Child. Many of the Challenge members are now sophomores in high school, but remember back when they started doing this project in 5th grade. One year a local Christian radio station even featured the girls live on air while they were packing their shoeboxes with toys and goods for kids in need abroad. The project is simple but makes a difference at Christmas in the lives of many children. The girls each get a shoe box and fill it with items for the children in need. In previous years, the girls received donations to help fill the boxes but this year the Challenge girls used their own money and met at a local dollar store where they bought items for their boxes. They chose what they wanted to send to the kids – like dolls, puzzles, socks, hair ties, crayons, rubber balls. A local dentist donated toothbrushes and toothpaste for the boxes and some family members donated wash cloths and soap. During the next Challenge meeting the girls filled the boxes and added some candy canes and other treats. 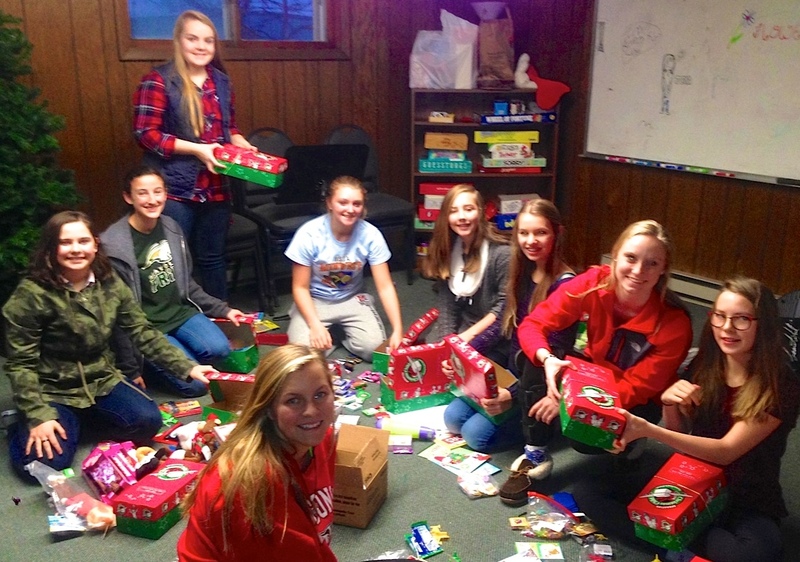 Together the girls were able to pack and fill 49 boxes for 49 children in need oversees. Last spring, the Challenge girls had this Christmas project on their minds. They planned and organized a Daddy Daughter Dance in order to raise money to offset the costs of shipping the boxes to the children in need. The Challenge members in Mundelein chose the theme of the dance, made the decorations, planned the games, snacks and treats. The night was a success and very well attended. Dads and daughters gave a donation as admission fee and were very generous. This truly was a project that got the community involved.